Analysis of 118,000 Real MPG fuel reports submitted by real world UK drivers found that, on average, a car uses 24 per cent more fuel than it should, while the gap between the laboratory figures and those obtained under real world driving conditions is at its widest point ever, with just one in 10 hitting the official MPG. As a result, British motorists are unwittingly using an estimated 2970 million extra litres of petrol and an additional 2609 million litres of diesel every year, which produces 13.8 million tonnes of CO2 that could have been prevented from entering the atmosphere if cars achieved their official economy. The Government’s new road tax rules from 1 April has also increased the squeeze on motorists by adding more than £500 to the long-term running costs of Britain’s most-popular cars, which means even a small and efficient hatchback will now require a significant amount of money to fuel and tax. For example, from 1 April, the UK’s best-selling car - the Ford Fiesta 1.0 EcoBoost 100PS petrol - costs £5173 to fuel and tax over four years/40,000 miles, which is £1372 more than its official fuel economy figures suggest. The BMW X5 is the UK’s worst performing car for Real MPG, achieving 66.9 per cent of its advertised fuel economy, followed by the Land Rover Discovery Sport and Audi A4 with a respective 67.5 and 68.3 per cent. The Volvo XC90 (68.5 per cent) and Fiat 500X (69.6 per cent) complete the list of bottom five cars on sale right now for real world economy. One of the reasons new cars have performed increasingly poorly is because, since 2015, car manufacturers have been fined by the EC if the corporate average CO2 emissions of their cars exceeds limits according to MPG and CO2 laboratory tests. To avoid the fines, vehicles are increasingly optimised for the laboratory test at the expense of reality. 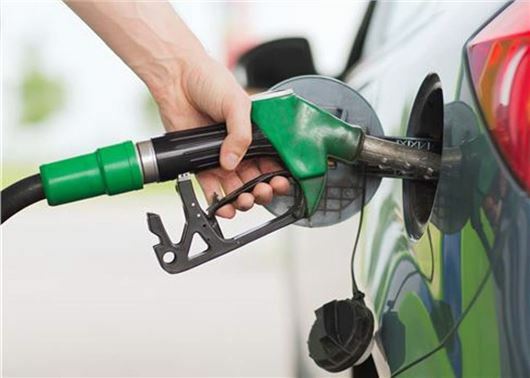 Honest John’s Managing Editor, Daniel Powell, said: “Real MPG has shown that, for the majority of drivers, advertised fuel economy figures are quite simply too good to be true. As a result, many are finding it increasingly difficult to understand how much fuel a car will use or how polluting it will be." It appears that older cars are better at getting close to official figures. My wife's 2005 Fiat Panda has a claimed 50mpg, yet it is easy to achieve 55 or even 60 on a run. My 2001 MGF has a claimed 38.3 yet I can easily better 40. A 2009 Kia Cee'd was well short of the 46.3, at around 36. My current Astra 1.4 150 turbo achieves pretty close to the claimed 51.1. Even spirited driving gives around 47 and with gentler driving the official figure can easily be achieved. I've had many different hire cars over the last couple of years. Generally 2.0l diesels are the best. BMW 3 series, C class Merc, Vauxhall Insignia all achieving 60-70mpg on a run. Worst has been 1.4l petrol engined Vauxhalls at around 35mpg, and Vauxhall Zafira 1.8l petrol at 32mpg Small 1.4l and 1.6l diesels have all only just managed 50mpg. i own a 57 plate corsa 1.4sxi and seem to remember reading on this site that it should be about 50mpg, on a run if im lucky i can get about 42, but its hideous around town, probably around 30-35. on the other hand my 2nd car, a 1999 rover 414 seems to achieve 40 with ease, my partner drives a 1999 corsa with well over 100,000 miles on the clock and i can get 50 out of that very easily. if the ec are fining manufacturers for co2 emissions etc then shouldnt they also be fined for claiming figures that noone will realistically be able to achieve? Paul, are you going by the fuel computer or calculating via your fuel receipts? I have the same Astra 1.4 150 turbo and while I can get around 47mpg indicated on the fuel computer that is around 12% higher than what I calculate with my receipts. I bought a 2015 Nissan Juke 1.2 Dig T believing it would average 50mpg. It returns about 36mpg. Most of my journeys are driving 20miles to and from work on a B-road averaging 55mph. Hate to think how bad it would be if I was only driving about town. All the Hondas I owned previously were within 1 or 2 mpg stated on the test figures. Needlessly to say I will not be buying another Nissan.